Earlier this week, as The Diplomat reported, China declared that some of its land reclamation work in the South China Sea will be completed soon. Considering the feverish pace of Chinese activity in this respect over the past few months, one might be tempted to heave a sigh of relief. That would be a tragic mistake. A closer look suggests that the announcement does not tell us anything new about what China is doing or ease our doubts about what it is going to do in the South China Sea. First, the announcement tells us nothing new. In his remarks, Foreign Ministry Spokesperson Lu Kang notes that “the land reclamation project of China’s construction on some stationed islands and reefs…will be completed in the upcoming days” [emphasis mine]. The key word here is “some.” Since the announcement refers to completed construction on some, rather than all features, it doesn’t tell us anything we do not already know. It is pretty clear to those who follow China’s land reclamation activities closely that work in some features, such as Fiery Cross Reef, is nearly complete, while work in others, like Mischief Reef, is still ongoing. The announcement thus merely confirms the status quo rather than indicates any significant change. Second, even if China is completing some of its land reclamation activities, just because something has partly and temporarily halted does not mean that what has already occurred should be forgotten. China’s construction of artificial islands in the South China Sea thus far is still both illegal and detrimental to peace and stability in the South China Sea to a degree that no other claimant’s actions are. 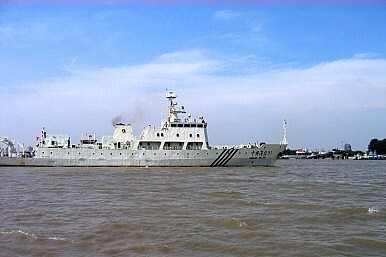 Chinese attempts to build artificial islands from submerged features and rocks and then generate maritime claims from them violates the United Nations Convention of the Law of the Sea, which states that these features are unable to generate such claims (See: “How Would the US Challenge China in the South China Sea?”). Furthermore, as Carlyle Thayer has noted for The Diplomat, China’s behavior during its artificial island-building – which includes constructing the elements of forward staging bases for military operations on features and challenging the freedom of navigation and overflight of vessels and aircraft around them – contravenes the spirit of the 2002 Declaration on the Conduct of Parties in the South China Sea where parties pledge not to complicate or escalate disputes that affect peace and stability. China’s near-completion of its land reclamation activities does not change the illegality and impropriety of its actions in the South China Sea, and the international community must continue to hold Beijing’s feet to the fire on this point. Giving China credit when it temporarily dials down such activities, instead of focusing on the totality of Chinese offenses in this respect, risks legitimizing its brazen attempts to change the status quo in its favor at the expense of international law and peace and stability. Third, and on a related note, if China’s past behavior is an indicator of its future actions, this announcement is at best a temporary reprieve for it to achieve short-term diplomatic gains, rather than a change in its overall approach. As I noted in a prior piece, China’s two-pronged strategy of what I term “incremental assertiveness” in the South China Sea is designed to change facts on the water to strengthen China’s position while simultaneously cementing economic ties with neighboring states to draw them closer into China’s orbit, thereby making them think twice about challenging Beijing (See: “Will China Change its South China Sea Approach in 2015?”). To achieve this strategy, Beijing calibrates its actions and alternates between period of ratcheting up and dialing down tensions in order to balance making incremental gains in the South China Sea and preserving enough goodwill with its neighbors. For example, a heated period in the South China Sea, which included the seizure of Scarborough Shoal in mid-2012, was followed by a ‘charm offensive’ in full-steam by late 2013, including unveiling a new framework for ASEAN-China relations. But just seven months later, China stoked tensions again by moving an oil rig into Vietnam’s exclusive economic zone. Though it is still too early to tell, we seem to be moving into another period where China may be trying to cool things down in the South China Sea for a short while. Beijing has been coming under a lot of pressure of late from the international community, including the United States and other ASEAN nations, as the recent Shangri-La dialogue clearly demonstrated. Furthermore, China is also approaching a series of important meetings where it would prefer to have the South China Sea issue not dominate discussions and hamper progress in other areas, beginning with the annual Strategic and Economic Dialogue (S&ED) in Washington, D.C. later this week ahead of President Xi Jinping’s visit to the United States in September. Regardless of China’s motivations for cooling things down right now, the important point for the international community to recognize is that Beijing’s record suggests that such periods are fleeting and constitute mere tactical adjustments rather than strategic shifts. Fourth, China’s pause in its land reclamation work does not mean that Beijing is going to cease constructing military facilities on its features, which is a key outstanding concern. Before the announcement goes into a long list of “civilian purposes” of China’s construction activities which the media has been reporting, the sentence begins with “apart from satisfying the need of necessary military defense.” This is not just the excessive parsing of a Chinese statement. Indeed, U.S. officials say they have already seen some evidence of Beijing beginning to militarize these features, and some of this information has been made public. For instance, late last month, U.S. officials revealed that they spotted a pair of mobile artillery vehicles on one of the new artificial islands that China had built. This is in addition to the facilities we already know China is building, including runways for military aircraft (See: “How Close is China to Another South China Sea Airstrip?”). In short, while China’s announcement on the near-completion of some of its land reclamation activities in the South China Sea has grabbed the headlines of late, a deeper dive shows that it tells us nothing new about what Beijing is doing and does very little to ease our anxieties about what Beijing will do next. China’s Assertiveness Could Worsen, Japan Military Chief WarnsThe Challenge to China’s South China Sea ApproachASEAN to Intensify South China Sea Response Amid China ConcernsExclusive: China’s South China Sea Statement That Divided ASEANWhat’s Behind China’s ‘New’ South China Sea Tsunami Warning Center?